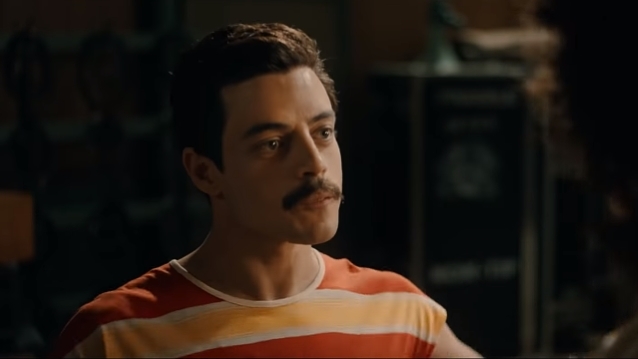 20th Century Fox has released a new clip from the QUEEN biopic "Bohemian Rhapsody". "Mr. 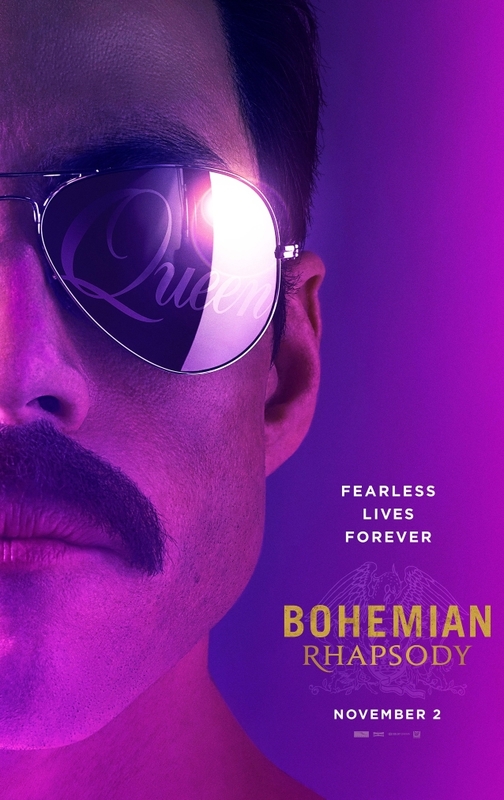 Robot"'s Rami Malek stars in the film as QUEEN lead singer Freddie Mercury, the iconic British vocal artist known for his extravagant performance style and his incredible vocal range. Due in theaters on November 2, "Bohemian Rhapsody" is a foot-stomping celebration of QUEEN, the band's music and Mercury, who defied stereotypes and shattered convention to become one of the most beloved entertainers on the planet. The film traces the meteoric rise of the band through their iconic songs and revolutionary sound, their near-implosion as Mercury's lifestyle spirals out of control, and their triumphant reunion on the eve of Live Aid, where Mercury, facing a life-threatening illness, leads the band in one of the greatest performances in the history of rock music — in the process cementing the legacy of a band that were always more like a family, and who continue to inspire outsiders, dreamers and music lovers to this day. Greg Brooks, QUEEN's official archivist, was part of this process and he worked with the band and the movie production team on a daily basis for months to recreate every tiny detail of each scene and to make it as authentic as possible. "My role was to give the Fox 'props' team access to authentic QUEEN tapes, notes, handwriting, memorabilia, costumes and photographs — anything and everything remotely useful — which they could then create replicas of, to dress various sets," Brooks said. "Like QUEEN, the Fox team were obsessed with detail; getting every aspect of every scene perfectly right. With costume, for example, they didn't just cover the basics; it meant sourcing precisely the right pair of blue denim jeans for 1972, with the correct belt, socks and footwear. And thus, from us, they needed every photograph we had of QUEEN relaxing off stage. 'What photos do you have of Roger's socks, Greg?' is the type of question that came at me, and that wasn't even one of the strangest," he added. "Working on this project with such a brilliant gathering of dedicated talented people was a rare privilege. Fox have created a QUEEN universe that is scarily convincing. 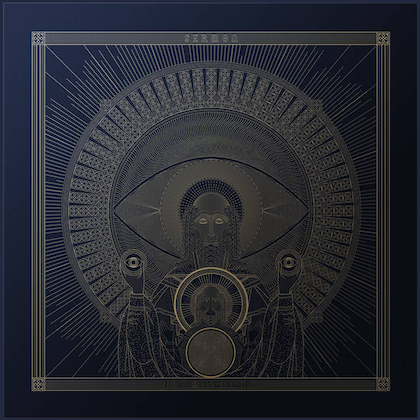 It is real in every way that it could reasonably be."